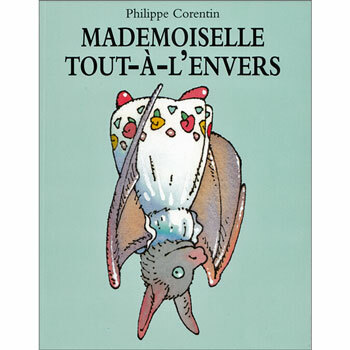 Mademoiselle tout-à-l'envers is a story in French about a bat. 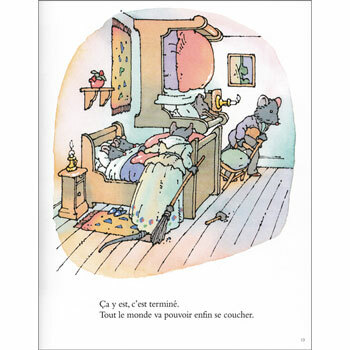 A family of mice have a visitor - their cousin from America. They are surprised to find that she is very different to them. She has a funny crumpled snout, big ears like a donkey and two awful wings! She sleeps all day - and keeps her cousins awake at night as she plays in the dark - and she eats the most disgusting food! Mademoiselle tout-à-l'envers is written entirely in French as it is aimed at native French speakers.